The Beauty of Python – Double! The strap has white stitching and a white edge. The buckle has a ‘stitching pattern’ to match the leather. Please note that the bracelets are entirely handmade in London. The pieces have the charm of a high-quality handmade piece that has been done very carefully – but it will never be as even as a machine-made piece. 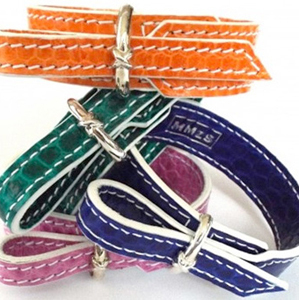 The leather is embossed with the ‘MMzS’ logo. The silver buckle is hallmarked by the London Assay Office and carries the maker’s mark ‘MMzS’. 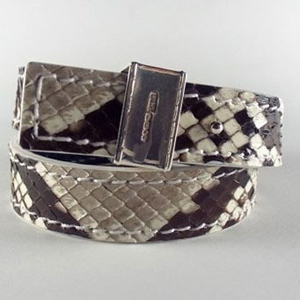 The buckle can be fully detached from the snake leather strap. 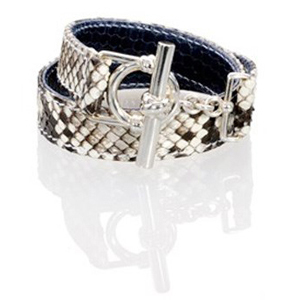 Dimensions: The bracelet strap is 1.5 cm wide and 40cm long. The size can be adjusted to fit wrist circumferences between 15cm and 18cm by punching at 2mm (diameter) hole in the desired place with a regular leather hole punch used for belts. 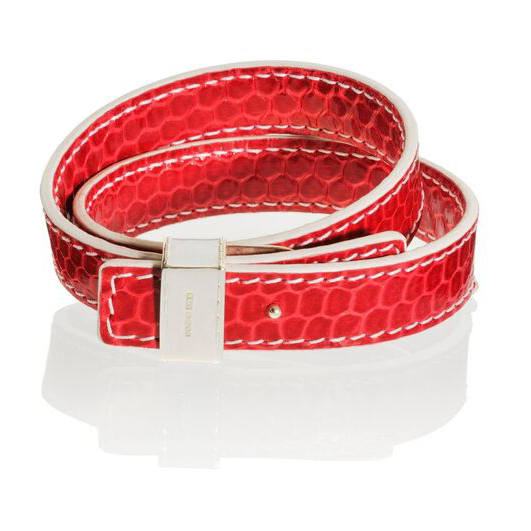 Material: The strap is made of python skin (outside) and lined with sea snake skin. 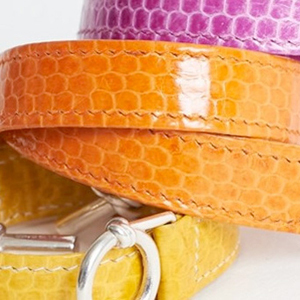 The leather is compliant with the Convention on International Trade in Endangered Species of Wild Fauna and Flora (CITES). The buckle is made of 925 Sterling Silver.